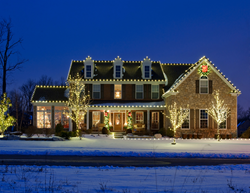 This holiday season, Colorado’s premier holiday lighting vendor, Swingle Lawn, Tree & Landscape Care, will light the homes of two struggling families along the Front Range. During a time of year when many families are faced with personal and financial struggles, Swingle hopes to brighten the spirits of those needing a reminder that people do care during the holidays. “Making Spirits Bright was built around the idea of giving back to the community, which is fundamental to who we are at Swingle. Our goal is to make a difference by brightening the holidays for two special families - we only wish we could do more,” says Swingle’s CEO Tom Tolkacz. Swingle recognizes the incredible difficulties many families face during the holiday season. “Making Spirits Bright” first began as a simple idea and has become much more. Swingle believes every family should have the chance to celebrate the season regardless of their situation. It’s a way to take an existing service and make a positive impact beyond the average customer. “Swingle is in the business of making peoples’ lives more enjoyable through the services we provide. Making Spirits Bright takes it a step further and is a great example of our longstanding commitment to giving back to our community,” says Swingle’s President John Gibson. Families are selected for the “Making Spirits Bright” campaign through a nomination process on Swingle’s Facebook page and can be accessed on the company website. A short application allows you to write a brief essay explaining why a family should be chosen as a “Making Spirits Bright Family”. Applications must be submitted by October 31st. Winners will be determined based on the impact of their story and must reside within Swingle’s service area. After families are selected, Swingle Lawn, Tree & Landscape Care will contact them to create a custom holiday display for their home. A crew will then install holiday décor prior to the end of November, as well as take down the display at the completion of the holiday season. Founded in Denver in 1947, Swingle Lawn, Tree & Landscape Care has grown to be the one of the largest residential and commercial lawn service and tree care companies in Colorado, employing more certified arborists than any other Colorado company. For information please contact Kellie Houghtaling khoughtaling@MySwingle.com (303) 337-6200 or visit http://www.MySwingle.com/contact.